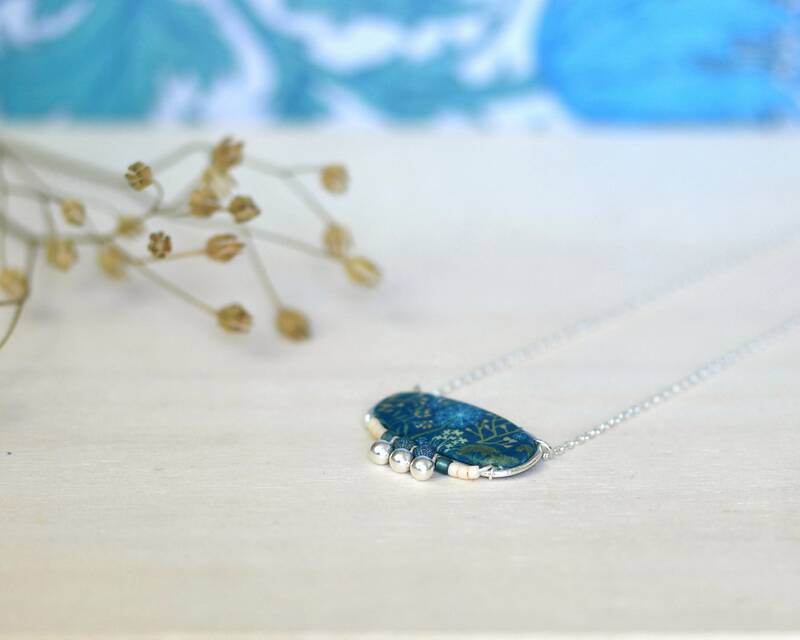 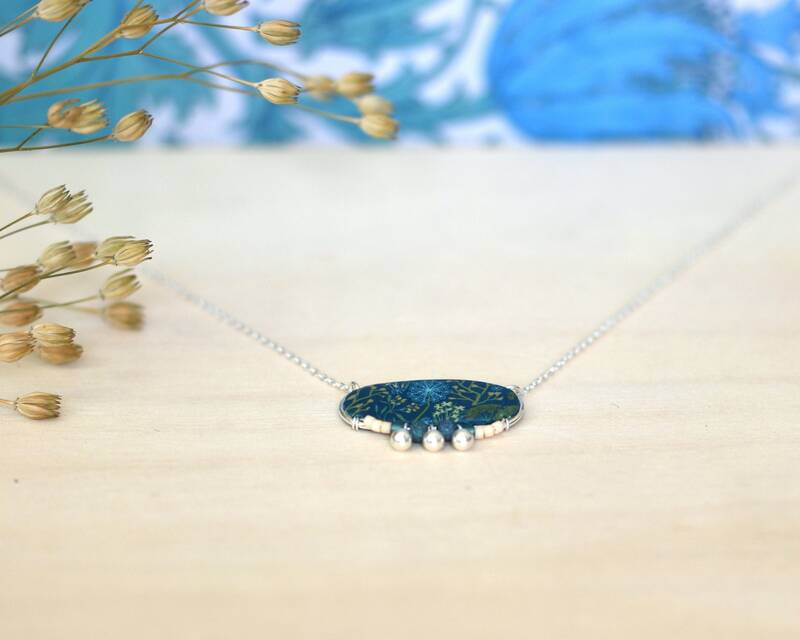 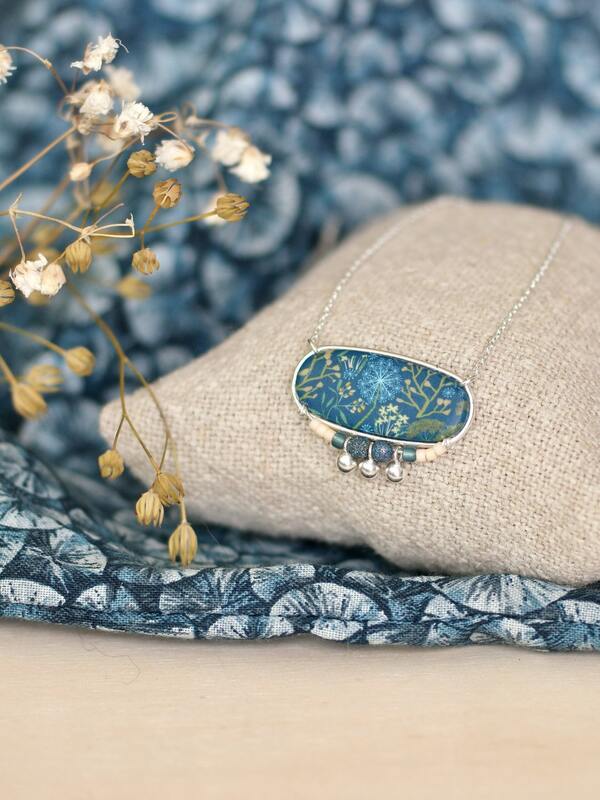 A short, dainty, teal necklace made of a handmade rectangle pendant with botanical patterns featuring wild flowers and dandelion. 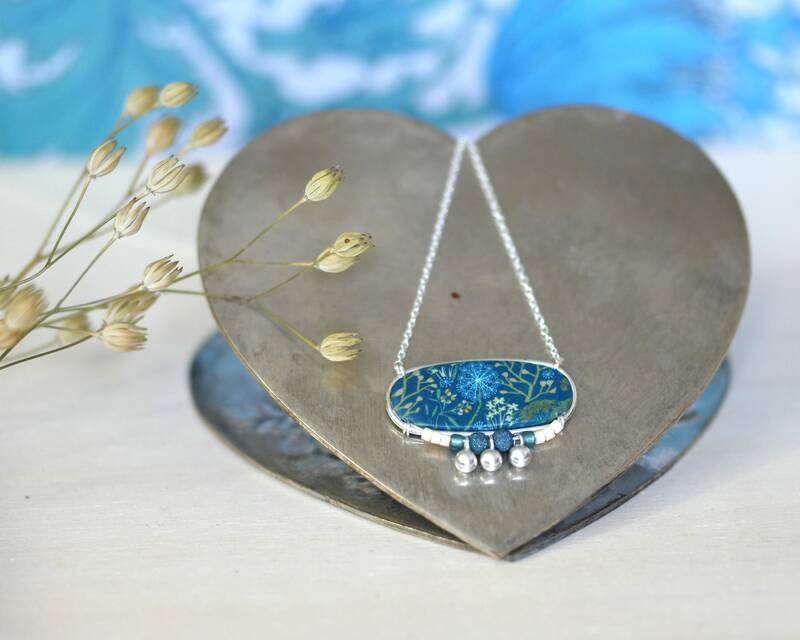 This pendant is made of polymer clay and decorated with sterling silver and glass beads. 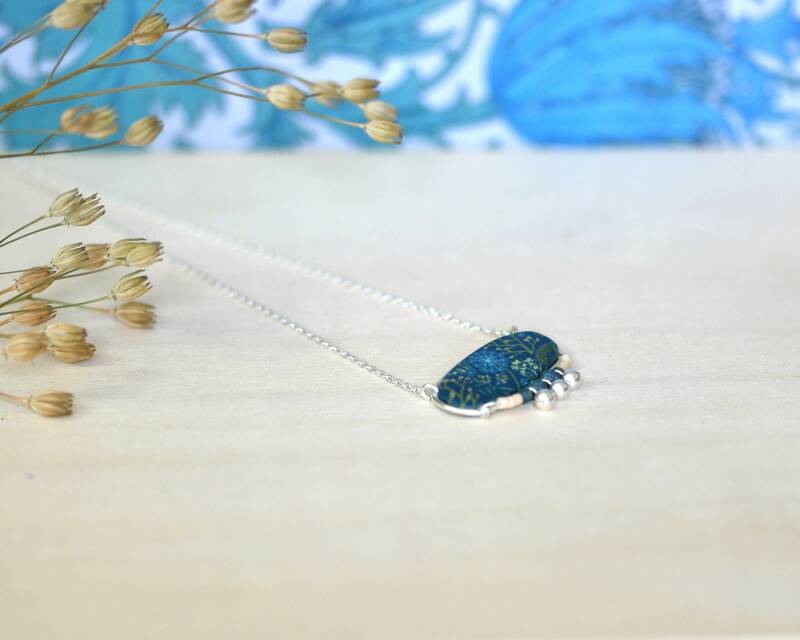 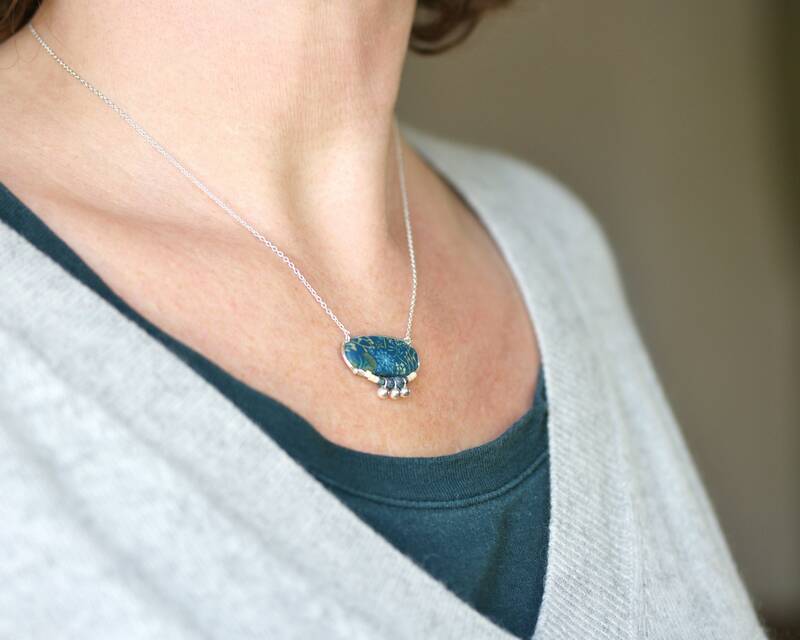 The pendant is mounted on a fine sterling silver chain.